The Xiaomi Mi Mix foreshadowed the rise of taller displays when it was released in 2016 with a massive 6.4-inch display. In September, Xiaomi released the Mi Mix 2 with the Qualcomm Snapdragon 835 system-on-chip and a smaller 6-inch Full HD+ (2160×1080) display. The phone was Xiaomi’s flagship phone for the second half of 2017, competing with the likes of the OnePlus 5T and the Honor View 10. At an event in China on Tuesday, the company announced its next flagship: the Xiaomi Mi Mix 2S. The Mi Mix 2S has a curved ceramic back and a 7-series curved aluminium frame. Rumors about an alleged ‘corner notch’ turned out to be false, just as we reported. On the front, we have a 6-inch display with small bezels. The top and side bezels are thin, while the bottom bezel contains the front facing camera, just like the Mi Mix 2. The placement of the front camera remains unconventional, but the upside here is that the screen does not have any cutout. The Mi Mix 2S has on-screen navigation buttons like other 18:9 Xiaomi devices. The back features vertically placed dual cameras like the iPhone X. The phone also features an IR blaster, a useful feature which is uncommon among flagship devices. The first major new upgrade brought by the Mi Mix 2S over the Mi Mix 2 is the SoC. 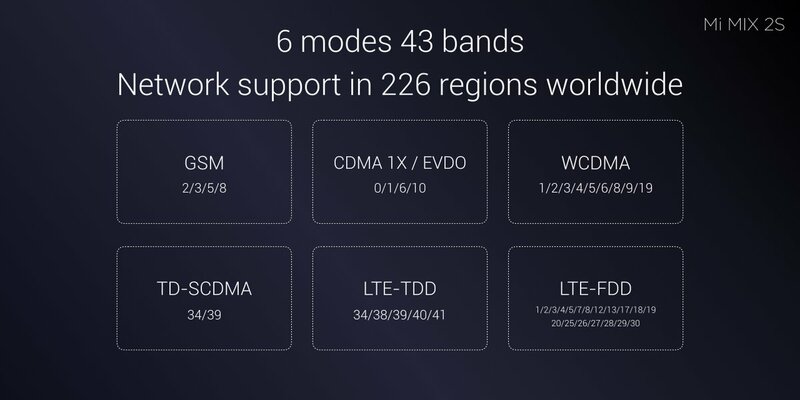 It features the latest-generation Qualcomm Snapdragon 845 system-on-chip, which is used in the US/China variants of the Galaxy S9 and the S9+, as well as the Sony Xperia XZ2 series and the ASUS ZenFone 5Z. The Snapdragon 845 has four Kryo 385 Performance semi-custom CPU cores based on the ARM Cortex-A75 and four Kryo 385 Efficiency semi-custom cores based on the Cortex-A55, paired with the Adreno 630 GPU. The SoC is paired with 6GB/8GB of RAM and 64GB/128GB/256GB of storage. The phone does not have a microSD card slot. The Mi Mix 2S has a 6-inch Full HD+ (2160×1080) IPS display with an 18:9 aspect ratio. Update: The display is IPS LCD, not AMOLED. The second major upgrade in the Mi Mix 2S is its dual camera setup. 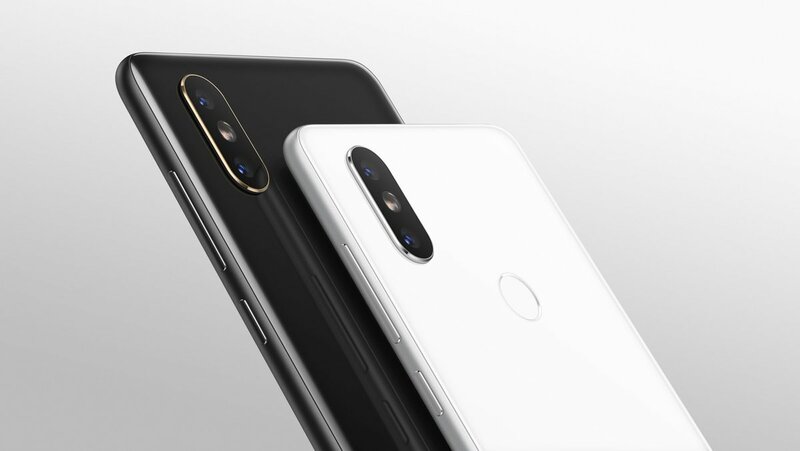 Notably, the Xiaomi Mi 6 launched with dual 12MP + 12MP wide-angle + telephoto cameras last year, but the Mi Mix 2 lacked a secondary camera with the telephoto lens. Instead, it had a single 12MP sensor with OIS. The Mi Mix 2S, on the other hand, has dual rear cameras with “AI” enhancements. The cameras have received a DxOMark score of 97, with a Photo score of 101 and a Video score of 88. The primary camera is a 12MP Sony IMX363 sensor, with a 1/2.55″ sensor size and 1.4 micron pixels. It’s worth noting that the pixel size is bigger than the camera of the Mi Mix 2, which had a pixel size of 1.25 micron pixels. The primary camera features Dual Pixel autofocus, 4-axis OIS, a 6-element lens, and a f/1.8 aperture. It has hardware-level multi-frame noise reduction. It also has AI scene recognition (which is a feature that was first launched by Huawei with the Huawei Mate 10/Mate 10 Pro). The camera can recognize 206 scenes across 26 categories. The Mi Mix 2S’ portrait mode has dynamic bokeh effects with customizable parameters. The secondary camera has a 12MP 1/3.4″ Samsung S5K3M3 sensor with a f/2.4 aperture, 46mm-equivalent telephoto lens and 2x optical zoom. The 5MP front camera has a f/2.0 aperture and enables users to take “AI”-powered portrait photos with bokeh. 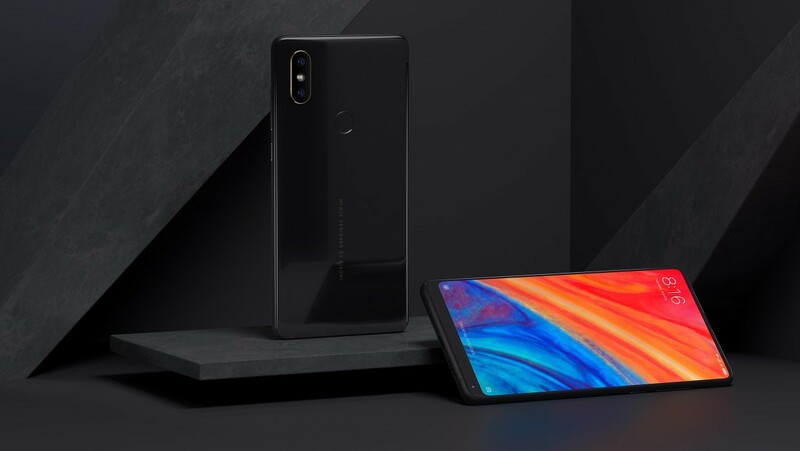 The Mi Mix 2S is the first Xiaomi phone to feature wireless charging support. 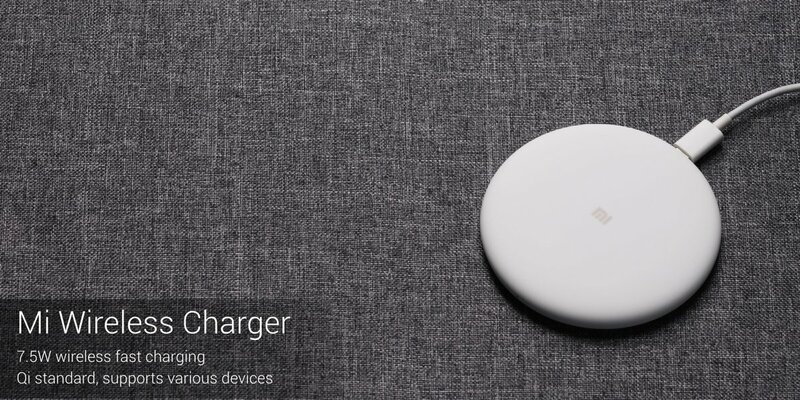 It supports the Qi industry standard with 7.5W charging, which is unsurprisingly much slower than fast wired charging (the phone supports Qualcomm Quick Charge 3). The company has also launched its own affordable charging pad for a price of CNY 99 ($16). The phone has Wi-Fi 802.11ac, Bluetooth 5.0, 4G VoLTE, dual SIM slots, and a USB Type-C port. Regrettably, it still lacks a 3.5mm headphone jack. An IP rating for water resistance is also missing. The Mi Mix 2S is powered by a 3400mAh battery, which is the exact same battery capacity of the Mi Mix 2. It’s powered by MIUI 9 on top of Android Oreo, which means that it has Project Treble support. 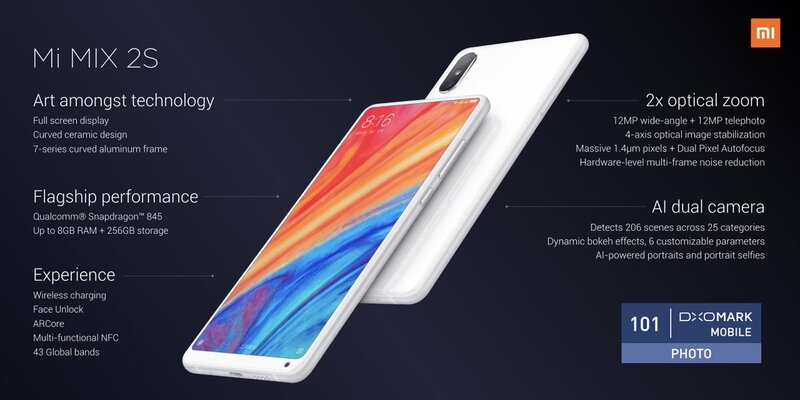 It has AI Face ID (Xiaomi’s face unlock system), and comes with a Google Lens competitor as well as Xiaomi’s own assistant for the Chinese market. It’s also the first phone in China to support Google’s ARCore platform. The Mi Mix 2S comes in two colors: Black and Ceramic White. The 6GB RAM/64GB version of the device costs CNY 3299 ($527), while the 6GB RAM/128GB version costs CNY 3599 ($575). The top-end version comes with 8GB of RAM and 256GB of storage, and goes all the way to CNY 3999 ($639). The top variant is bundled with a free Mi wireless charging pad (that costs $16). The phone will go on sale in April in China from Mi.com and Mi Home stores. Xiaomi’s Senior Vice President Wang Xiang has stated on Twitter that the phone will be launched in “select global markets” at a later date. 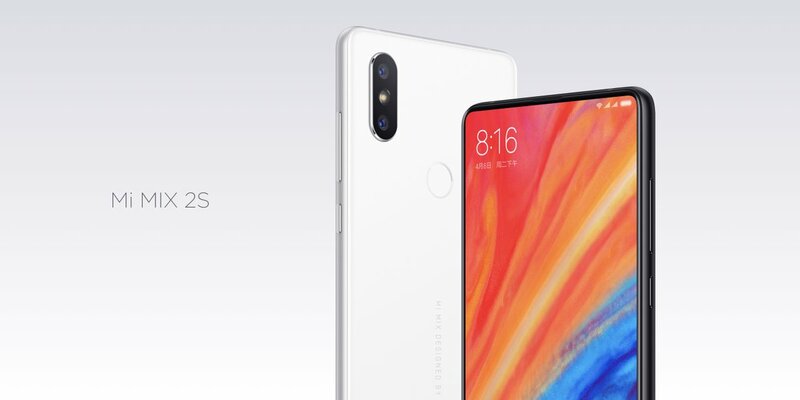 What are your thoughts regarding the Xiaomi Mi Mix 2S? Let us know in the comments below.